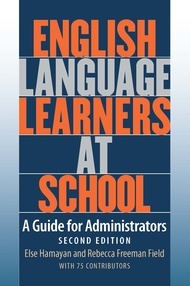 This edition builds on the successful question-and-answer format of the first edition and includes over 80 questions from teachers and administrators. More than 70 experts provide clear, concise, practical responses that administrators, teachers, and leadership team members can apply to their schools and districts. No Child Left Behind (NCLB) has been replaced by Every Student Succeeds Act (ESSA), the latest reauthorization of the Elementary and Secondary Education Act. Dr. Wayne E. Wright, Purdue University professor and author of Foundations for Teaching English Language Learners (2015, Caslon Inc.), prepared a slide presentation about how this new federal education policy is different, and the implications for English language learners.